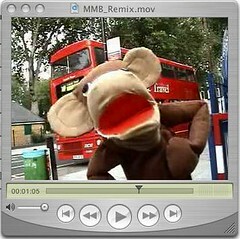 Check our mate Bre’s Magic Monkey Bob in London, vlogging. What is even (well, equally) funnier is the remix here that Josh Leo did. I would probably have bought that as a single in my yoof.